Wishing on a Snowflake: We are looking for embryos. Do you know of any? In the past few weeks, Kevin and I have done a lot of thinking about and talking about next steps. The fact is that even though we are struggling just to have our first child right now, we would eventually like more than one someday. So that being said, it makes sense for us to start looking for more embryos now and have them ready for our upcoming FET as well as some frozen for future siblings. Of course we would love for our final remaining embryo to make it. But given how much money, time, and resources go into a transfer, we would be devastated if that final snowflake didn't survive thaw and that was our only shot. And it sounds like there's a good chance of that scenario unfolding based on what the embryologist said about it's chances. If it did survive thaw, we would love to have another good embryo to transfer with it. So that being said, it makes sense to start looking now. I talked to our previous donor Vicky and she is incredibly supportive and understands our desire to be parents and is cheering us on. I pray with everything I have that we find more and find them fairly quickly since waiting to find embryos last year was some of the most depressing times of my life. Hope changes to hopelessness quickly when you have no leads on the horizon. Today's post is a plea to anyone who might be considering donating their remaining embryos to a couple, or to anyone who knows someone who is considering donating. We wish to be parents so much and have so much love to give. And having adopted embryos before, we are very familiar with how the process works and can do most of the leg work to make it happen. We will arrange for costs associated with shipping and drawing up the legal agreement. We just need a willing donor with embryos who wishes to give them a chance at life and wishes to give another loving couple the opportunity to be parents. And trust me, this process is much easier than it sounds. If you have embryos to donate or know someone who does, please email me at wishingonasnowflake@gmail.com and we will answer any and all questions you have. We have so much to give and we are an open book! Wishing you quick success finding embryos! The love you have to offer is so obvious in your blog. Someone with embryos to donate would be so blessed in choosing you. I hope your dreams come true soon! Thank you so much for the prayers! We aren't opposed to any option, but are hoping to find embryos privately first. Fingers crossed but will not rule anything out. :) Thanks so much! I think it's a great idea to find more embryos now! Best wishes for a quick match! Thank you so much! I hope it's quick too! I'm so glad you are moving forward. I hope you find a match soon. Have you looked into donor embryo's? This is what we are doing through my clinic. Wishing you well in your search for a donor family. Hi there. I am currently in the process of adopting embryos from NEDC in TN. They are at http://www.embryodonation.org/. They are an agency and clinic that does embryo adoptions, but you will need a home study done to go through them. Not sure if that is something you would consider. We were going through international adoption through a local agency but decided to pursue embryo adoption instead. So we will be using our home study from the international adoption for the embryos thru NEDC. The good thing with NEDC is they have lots of profiles of couples that have already agreed to donate their embryos that you can select to get matched with. And you can do either open or closed adoption. Also, all they embryos are already at the clinic or will be shipped to the clinic once matched. They also have you select back up embryos in the event the embryos don't survive the thaw. The other reason why we decided to go with NEDC is we met a couple that were going thru them and they now have a wonderful set of twins. My friends LOVE NEDC, and I've only heard good things about them. The other option is Miracles Waiting. http://www.miracleswaiting.org/. They are a place/bulletin board for potential donors and recipients to meet and find matches. I've never used them, but have looked into it. I think there may be a fee to join the site. Sorry I don't have any embryos to donate, but I am also on the receiving end, so I can relate a little to what you are going through. I am so sorry things have not worked out for you so far, but I am praying for you and following you on your progress. Wishing you all the best! Thanks for posting! We are hoping to find some privately first, but aren't ruling anything out. Also, we've had a profile on Miracles Waiting since November 2012 and while we've had a couple of "bites", they've dropped off the face of the planet after some communication. It was very painful when this happened. :( We will definitely keep NEDC in mind if looking privately doesn't work out. We have LOVED the NEDC as well, but I am thinking that it may be more expensive to get matched through them than to find someone privately. Have you already looked into that? Their clinic does make it super easy though and the staff are so wonderful. They are all believers I think. 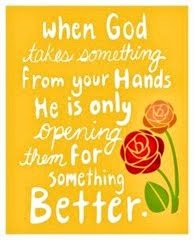 Praying for you and for God's perfect plan to unfold! Good luck. Awesome that you are moving forward! Thanks for the kind words and for commenting! Godspeed! I would agree with the NEDC recommendation, but if you don't already have a home study done, it would take longer. Good luck in your search Liz. I know that you and Kevin will have your baby in your arms soon! Thank you so much for the kind words. I hope you're right SO much! We used the NEDC too and loved them! If you can privately find embryos, great! But if u decide to pursue embryos thru at agency, I highly recommend the NEDC! Snowflakes is also a good option as I know many families who have had good experiences adopting embryo they them as well. We will definitely keep that in mind! :) Thanks so much. I've been thinking about you a lot... have you found some embryos? Aww you're so sweet! We do have a lead on two embryos that are only three hours away here in Texas but there's nothing solid on them quite yet. The donor sadly had a tragic death in the family the day we were discussing it so we are giving them time to work through that before discussing it further. I'm hoping it works out because her son is adorable beyond words and they seem like a really wonderful couple! That's so sad about her loss, but great news about the embryos! I'm sure you will keep us posted, I look forward to reading. You guys seem like such a wonderful family and I'm sure you will make great parents!